We've all heard of haggis and some of us have even eaten it, but very few have actually spotted one IRL. We generally only see them once they're slaughtered, skinned and unceremoniously stuffed into a sheep's intestine. Apologies if you're eating. Haggis, from the Gaelic, 'awkward wee beastie', are notoriously shy creatures who tend to sleep all day and only venture out into the glens under cover of darkness. Or, when they've run out of Irn Bru. This is the main reason people take bottles of Scotland's national drink out on their organised Haggis Hunting Tours. The mere sniff of the Amber liquid can be picked up from 3 miles away by fully grown males and they can turn nasty if you don't offer them some. If you're out of Bru, whisky is an acceptable substitute. Buckfast is not. I wouldn't feed that to my neighbours cat, never mind a Haggis. I quite like having all my fingers in place, thanks very much. the bonnie, bonnie banks of Loch Lomond have long been a haggis clan hideout. 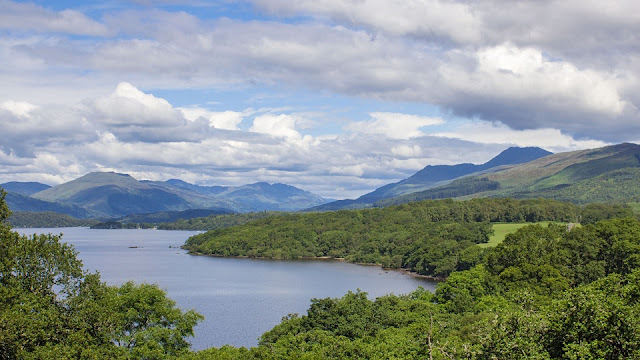 Legend has it that in the early 20th Century, a local man by the name of Shuggie (Scottish slang for Hugh) saved the life of a young haggis, who had wandered away from his Mammy on the banks of Loch Lomond and followed the smell of whisky down past the famous Auchentoshan Distillery. Shug found the youngster while making his way back from his local hostelry and managed to persuade the wee mite to come to his house and warm up by his three bar fire. Afterwards, he drove the haggis back to the foot of the Loch (once he'd sobered up obviously, so, like, two days later). The haggis told his clan about Shug's kindness and ever since then you can often spot the little beasties around Dumbarton late at night. For years, haggis were a bit more difficult to spot on Skye due to the fact that you had to get on a ferry just to have a look. These days, hunting the critters is made a bit easier by the glorious Skye bridge, which sits across Loch Alsh and connects the Island to the mainland. 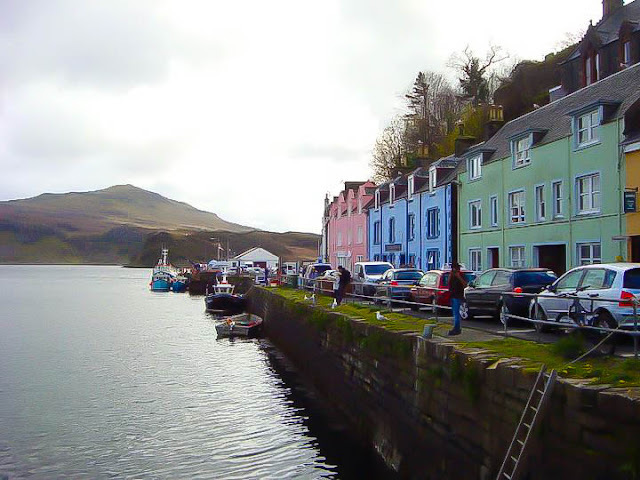 Clans of haggis have been roaming Skye's Cuillin Mountain range for hundreds of years and have gradually moved up to the main town of Portree. Given their tendency to be shy and secretive, no one knows quite why the haggis have ventured towards the harbour area, but many believe the sheer numbers of climbers on the mountains have forced the haggis further North. An alternative theory is that haggis love the smell of shortbread from the Isle of Skye Bakery, which is situated in the town. Can you see Nessie in the background?? Spotting a wild haggis on the shores of Loch Ness is slightly easier than catching sight of Nessie, and it's widely accepted that the clans are largely left alone on the banks of the Loch as people are more interested in the monster. 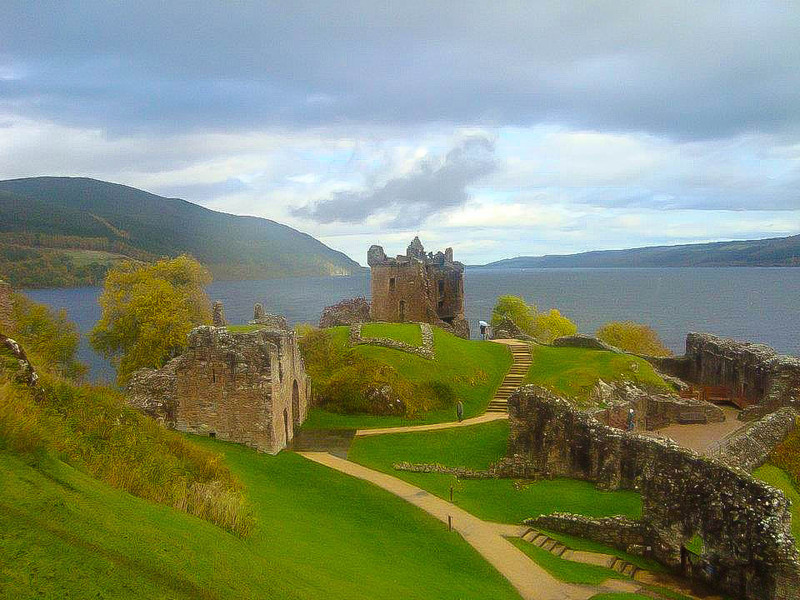 This allows them to enjoy the spectacular views and setting of Urquhart Castle, while flying under the radar, so to speak. Haggis have no wings and, despite their diminutive size, they are extremely fast on their little haggis legs, which is why they can be difficult to pursue on foot. A few years ago, tunnels were found around the grounds of Urquhart and it was suggested that haggis were burrowing beneath the Castle in order to establish a safe haven from which to breed and protect their young. 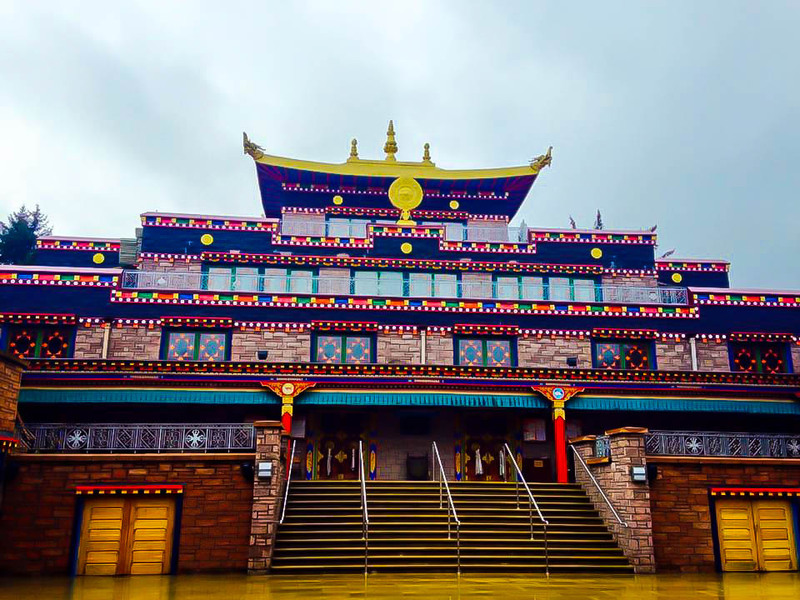 Samye Ling, near the remote village of Eskdalemuir, was established in 1967 and was the first Tibetan Centre to be built in the Western world. The beautiful open countryside surrounding the centre and the calmness and tranquility that emanates from the Temple is believed to have been the draw for haggis as they understand that their way of life will never be under threat here. That, and the fact that the Buddhist Monks at Sayme Ling are vegetarian, make this part of South West Scotland perfect for a thriving haggis clan. Have you spotted any wild haggis on your travels through Scotland? ?